During my sophomore year of college I started having the weirdest health problems. My chest would feel tight all the time like I couldn’t breath. I couldn’t sleep, I couldn’t focus on things, and I always felt anxious. One day I finally snapped and made my Mom take me to the doctor because in a hysterical panic I realized I had all the symptoms of a heart attack and was dying. After the doctor checked my vitals, (much too casually I thought for someone having a heart attack), he told me the news: I was having panic attacks. He explained to me that for mostly unknown reasons, my body would all of a sudden send as much adrenaline through me as if a cougar had just jumped out in front of me. That is why I’d feel like I was perfectly fine and yet couldn’t breath, sleep, or focus, and of course was anxious. When I’d be having an attack my fight or flight symptoms would be skyrocketing due to a harmless, unknown trigger. And the worst part was, I would have no idea why. I took medication for a while thinking that it was just a malfunction of my body, then finally discovered theories that panic attacks are mental issues. 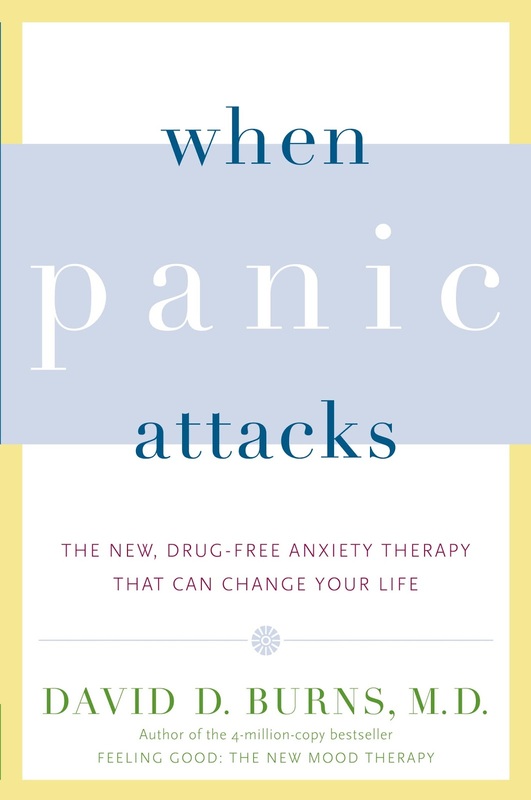 Through a psychotherapy book called “When Panic Attacks” I learned that my attacks were being triggered by negative thoughts and ideals that I believed. After about a year and a half of working through the exercises in the book, and being more conscious of my thoughts, I can honestly say that I beat my panic attacks, am drug free, and they are not in any way an issue in my life anymore. Through this experience I also learned ways to be a happier more confident person and that is what I am going to share with you. I recommend this book to people as passionately as I recommend the Book of Mormon (If you don’t get the joke click here 😉 so even if you don’t suffer from anxiety or depression but want to be happier and confident check it out! Throughout your life, a day, and even a moment your emotions are going to change. That’s just what they do. No one constantly feels happy, but you can look at yourself and say, “I feel sad right now, but I’m still a happy person because of ____” The same goes for confident, beautiful, etc. Being something and feeling something are two completely different things. More often than we realize, we put too much pressure on our past and future selves. “should” and “shouldn’t” are words that can be harmful because they tell us that it was possible for us to do better and it is shameful that we didn’t. (THIS = ANXIETY!) The truth is, you can’t go back and change it, so why not accept it for how it is, and move on. Instead of saying “I shouldn’t have done that” try saying, “it would have been better if I did this…”. That is a more positive way of thinking about the past, and helps you do better in the future. If your little sister, best friend, or Mom came to you with the exact same worries that you continually beat yourself up over, how would you talk to them? Would you also tell them that they are ugly and fat, that they’ll never amount to anything, that they shouldn’t have done that? No, you would most likely be positive, supportive, and logically explain to them how they can view the situation in a better light. Next time you find yourself being negative, imagine that you are talking to someone else you care about and you’ll find that your thoughts will be a lot nicer and actually more truthful. Yeah, yeah, yeah, easier said than done. But if you’re not already exercising and it stresses you out to think about trying to fit in a routine, start with trying to be more positive towards any mobile activity. For example, instead of dreading walking down the long hallway for the fifteenth time that day, think “oh good, some exercise!” It seems silly but it totally works! Again, easier said then done. Stretching and exercising help make this possible though! Try some mild stretches a little before bed to release tension. They say that 85% of what we worry about never even happens. Does that mean that 85% of what we hope for does happen? I don’t know but it definitely makes your life feel more positive if you hope for good things instead of worry about bad things. What better place is there to work through your crazy thoughts than a journal? I have one specifically for panic attack like issues and then a more positive one for life events and such. It really helps me take time to focus on my thoughts and change them if they’re irrational or negative. This is something that I actually learned from my mother-in-law Kim! She has a lot of confident children, (my husband being one of them 😉 and after being part of the family I started to see why. While raising them, instead of restricting them to doing things a certain way, she encourages them to try doing tasks the way that they think will be best. If it doesn’t work out, it’s not a big deal because they tried. But when it does work out, you can see the confidence building in them because they were able to figure something out on their own. More often than not, those of us who end up feeling unhappy or unsatisfied after events went in with unrealistic expectations. I am an idealist and so I usually set idealistic expectations. For example, I am a teacher and my first year I was like “I want all the kids to love me and my class, and to be so excited to learn every day!” I thought that by setting this perfect expectation I would get closer to reaching it. In reality, thinking that way just gave me anxiety because of course it is not possible for every single student to love me and my class every single day. Instead, I changed my mindset to “I hope quite a few kids like my class and that they are excited about some of the projects they are working on.” That was a much more realistic goal, and it kept the tears at bay when the few kids who didn’t enjoy my class voiced their opinions. A truly humble person is someone who can look at other people’s talents and be happy for them. More often than we’d probably like, we instead let feelings of inferiority make us jealous and unhappy for them. This leads us down the fearful spiral of negativity. There is so much good to consume from other’s creations, but human beings have an innate nature to create. This is how we gain confidence and feel good. Try watching less TV and actually writing a story of your own! Or work on a DIY project instead of always buying things from the store. There is a good feeling that comes from hard work, even if it doesn’t work out perfectly. That’s it. Laugh and laugh often. Lots of good info here! 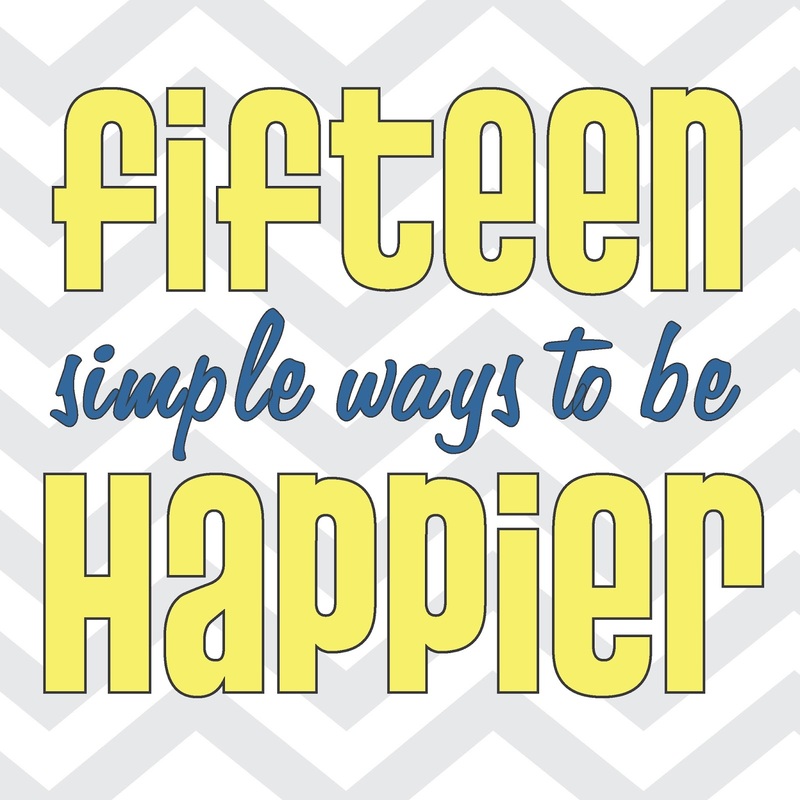 We live in such a stressful world that we can all learn from these ideas. Thanks for sharing at TTF!